Panahi, M., Solati, N., Gürlek, S., Ogasawara, H., Kaya, S. Surface Science 682, pp. 1-7. “Weakening the strength of CO binding on subsurface alloyed Pt(111)”. Say, Z., Mihai, O., Kurt, M., Olsson, L., Ozensoy, E. Catalysis Today 320, pp. 152-164. “Trade-off between NOx storage capacity and sulfur tolerance on Al2O3/ZrO2/TiO2–based DeNOx catalysts”. Panahi, M., Solati, N., Kaya, S. Surface Science 679, pp. 24-30. “Modifying hydrogen binding strength of graphene”. Ketenoglu, D., Spiekermann, G., Harder, M., Oz, E., Koz, C., Yagci, M.C., Yilmaz, E., Yin, Z., Sahle, C.J., Detlefs, B., Yavas, H. Journal of Synchrotron Radiation 25, pp. 537-542. “X-ray Raman spectroscopy of lithium-ion battery electrolyte solutions in a flow cell”. Ablikim, M., Achasov, M.N., Ahmed, S., (…), Zou, B.S., Zou, J.H. Physical Review D 97(1),012006. “Measurements of the branching fractions for the semileptonic decays Ds+ →φe+νe, φμ+νμ, ημ+νμ and η′μ+νμ”. Ablikim, M., Achasov, M.N., Ahmed, S., (…), Zou, B.S., Zou, J.H. Physical Review D 97(1),012003. “Measurement of the matrix elements for the decays η′ →ηπ+π- and η′ →ηπ0π0”. Ablikim, M., Achasov, M.N., Ahmed, S., (…), Zou, B.S., Zou, J.H. Physical Review D 97(3),032013. “Observation of a cross-section enhancement near mass threshold in e + e – → Λ Λ”. Ablikim, M., Achasov, M.N., Ahmed, S., (…), Zou, B.S., Zou, J.H. Physical Review D 97(3),032008. “Observation of e + e – → φ χ c 1 and φ χ c 2 at s = 4.600 GeV”. Wang, Y.D., Ablikim, M., Achasov, M.N., (…), Zou, B.S., Zou, J.H. Chinese Physics C 42(2),023001. “Determination of the number of ψ(3686) events at BESIII”. Ablikim, M., Achasov, M.N., Ahmed, S., (…), Zou, B.S., Zou, J.H. Physical Review D 97(5),052001. “Measurement of e+e- →π0π0ψ (3686) at s from 4.009 to 4.600 GeV and observation of a neutral charmoniumlike structure”. Ablikim, M., Achasov, M.N., Ahmed, S., (…), Zou, B.S., Zou, J.H. Physical Review D 97(5),051103. “Measurement of the absolute branching fraction of Ds0∗ (2317)± →π0 Ds±”. Ablikim, M., Achasov, M.N., Ahmed, S., (…), Zou, B.S., Zou, J.H. Physical Review D 97(5),052005. “Measurements of the branching fractions of the singly Cabibbo-suppressed decays D0 →ωη, η (′)π0 and η (′)η”. Ablikim, M., Achasov, M.N., Ahmed, S., (…), Zou, B.S., Zou, J.H. Physical Review D 97(5),051101. “Study of η (1475) and X (1835) in radiative J /ψ decays to γφ”. Ablikim, M., Achasov, M.N., Ahmed, S., (…), Zou, B.S., Zou, J.H. Physical Review Letters 120(13),132001. “Precision Measurement of the e+e- → Λc+ Λ c- Cross Section Near Threshold”. Ablikim, M., Achasov, M.N., Ahmed, S., (…), Zou, B.S., Zou, J.H. Physics Letters, Section B: Nuclear, Elementary Particle and High-Energy Physics 781, pp. 368-375. “Measurement of singly Cabibbo-suppressed decays D0 → π0π0π0, π0π0η π0ηη and ηηη”. Kaderoğlu, Ç. Surface Science 674, pp. 87-93. “Functionalization of silicon surface by thiadiazole molecule: A DFT study”. Say, Z., Mihai, O., Kurt, M., Olsson, L., Ozensoy, E. Catalysis Today (accepted), “Trade-off between NOx Storage Capacity and Sulfur Tolerance on Al2O3/ZrO2/TiO2 –based DeNOx Catalysts”. Akkoc,M., Öz, E., Demirel, S., Dorcet, V., Roisnel, T., Bayri, A., Bruneau, C., Altin, S., Yaşar, S., Özdemir, I. Journal of Organometallic Chemistry 866(1) pp. 214-222. “Investigation of potential hybrid capacitor property of chelated N-Heterocyclic carbene Ruthenium(II) complex”. Altin,S., Oz, E., Altin, E., Demirel, S., Bayria A., Avci, S. Dalton Transactions 47, pp. 17102-17108. “Investigations of the capacity fading mechanism of Na0.44MnO2 via ex situ XAS and magnetization measurements”. Nozari, V., Zeeshan, M., Keskin, S., Uzun, A. CrystEngComm 20, pp. 7137-7143. “Effect of methylation of ionic liquids on the gas separation performance of ionic liquid/metal–organic framework composites”. Zeeshan, M., Keskin, S., Uzun, A. POLYHEDRON 155, pp. 485-492. “Enhancing CO2/CH4 and CO2/N2 separation performances of ZIF-8 by post-synthesis modification with [BMIM][SCN]”. Kurtoglu, S. F., Soyer-Uzun, S., Uzun, A. INTERNATIONAL JOURNAL OF HYDROGEN ENERGY 43, pp. 20525-20537. “Modifying the structure of red mud by simple treatments for high and stable performance in COx-free hydrogen production from ammonia”. Munir, S., Varzeghani, A. R., Kaya, S. SUSTAINABLE ENERGY & FUELS 2, pp. 2532-2541. “Electrocatalytic reduction of CO2 to produce higher alcohols”. Kocaman, E., Akarcay, O., Baglar, N., Celebi, S.,Uzun, A. MOLECULAR CATALYSIS 457, pp.41-50. “Isobutene oligomerization on MCM-41-supported tungstophosphoric acid”. Bulutoglu, P. S., Say, Z., Bac, S., Ozensoy, E., Avci, A. K. APPLIED CATALYSIS A-GENERAL 564, pp. 157-171. ” Dry reforming of glycerol over Rh-based ceria and zirconia catalysts: New insights on catalyst activity and stability”. Jalal, A., Uzun, A. APPLIED CATALYSIS A-GENERAL 562, pp. 321-326. “An ordinary nickel catalyst becomes completely selective for partial hydrogenation of 1,3-butadiene when coated with tributyl(methyl) phosphonium methyl sulfate”. Kaya, K., Kurtoglu, S. F., Uzun, A., Soyer-Uzun, S. INDUSTRIAL & ENGINEERING CHEMISTRY RESEARCH 57, pp. 7156-7168. “Consequences of Simple Acid-Pretreatments on Geopolymerization and Thermal Stability of Red Mud-Based Geopolymers”. Kurtoglu, S. F., Sarp, S. , Akkaya, C. Y., Yagci, B., Motallebzadeh, A., Soyer-Uzun, S., Uzun, A. INTERNATIONAL JOURNAL OF HYDROGEN ENERGY 43, pp. 9954-9968. “COx-free hydrogen production from ammonia decomposition over sepiolite-supported nickel catalysts”. Nozan, V., Keskin, S., Uzun, A. ACS OMEGA 2, pp. 6613-6618. “Toward Rational Design of Ionic Liquid/Metal-Organic Framework Composites: Effects of Interionic Interaction Energy”. Nergiz, Z., Aksoy, A., Nuclear Science and Techniques 28(11),161. “Injector of the Turkish light source facility TURKAY”. Ablikim, M., Achasov, M.N., Ai, X.C., (…), Zou, B.S., Zou, J.H. Chinese Physics C 41(1),01300. “Determination of the number of J/ψ events with inclusive J/ψ decays”. Gundogan, M.T., Kaya, C., Yavas, O. Acta Physica Polonica A 132(4), pp. 1333-1339. “Design and production considerations on a button type beam position monitor for use of TAC-TARLA facility”. Ablikim, M., Achasov, M.N., Ahmed, S., (…), Zou, B.S., Zou, J.H. Physics Letters, Section B: Nuclear, Elementary Particle and High-Energy Physics 765, pp. 231-237. “Measurements of the branching fractions for D+→KS0KS0K+, KS0KS0π+and D0→KS0KS0, KS0KS0KS0”. Ablikim, M., Achasov, M.N., Ahmed, S., (…), Zou, B.S., Zou, J.H. Physical Review D 95(3),032002. “Amplitude analysis of the χc1 →ηπ+π- decays”. Ablikim, M., Achasov, M.N., Ahmed, S., (…), Zou, B.S., Zou, J.H. Physical Review D 95(7),071102. “Search for the radiative leptonic decay D+ →γe+νe”. Ablikim, M., Achasov, M.N., Ai, X.C., (…), Zou, B.S., Zou, J.H. Physical Review D 95(7),072004. “Measurement of higher-order multipole amplitudes in ψ (3686) →γχc1,2 with χc1,2 →γJ /ψ and search for the transition ηc (2S) →γJ /ψ”. Ablikim, M., Achasov, M.N., Ahmed, S., (…), Zou, B.S., Zou, J.H. Physical Review D 95(7),072010. “Amplitude analysis of D0 →k-π+π+π-“. Ablikim, M., Achasov, M.N., Ahmed, S., (…), Zou, B.S., Zou, J.H. Physics Letters, Section B: Nuclear, Elementary Particle and High-Energy Physics 767, pp. 42-47. “Measurement of the absolute branching fraction for Λc+→Λμ+νμ”. Ablikim, M., Achasov, M.N., Ahmed, S., (…), Zou, B.S., Zou, J.H. Physical Review D 95(11),111102. “Evidence for the singly Cabibbo suppressed decay Λc+ →pη and search for Λc+ →pπ0”. Ablikim, M., Achasov, M.N., Ahmed, S., (…), Zou, B.S., Zou, J.H. Physical Review D 96(1),012005. “Observation of the doubly radiative decay η′ →γγπ0”. Ablikim, M., Achasov, M.N., Ahmed, S., (…), Zou, B.S., Zou, J.H. Physical Review D 96(1),012001. “Observation of e+e−→ηhc at center-of-mass energies from 4.085 to 4.600 GeV”. Ablikim, M., Achasov, M.N., Ahmed, S., (…), Zou, B.S., Zou, J.H. Physics Letters, Section B: Nuclear, Elementary Particle and High-Energy Physics 770, pp. 217-225. “Study of J/ψ and ψ(3686)→Σ(1385)0Σ¯(1385)0and Ξ0Ξ¯0”. Ablikim, M., Achasov, M.N., Ahmed, S., (…), Zou, B.S., Zou, J.H. Physical Review D 96(3),032004. “Measurement of e+e-→ π+π-φ (3686) from 4.008 to 4.600 GeV and observation of a charged structure in the π±φ(3686) mass spectrum”. Ablikim, M., Achasov, M.N., Ahmed, S., (…), Zou, B.S., Zou, J.H. Physics Letters, Section B: Nuclear, Elementary Particle and High-Energy Physics 771, pp. 45-51. “Measurements of cross section of e+e−→pp¯π0at center-of-mass energies between 4.008 and 4.600 GeV”. Ablikim, M., Achasov, M.N., Ai, X.C., (…), Zou, B.S., Zou, J.H. Physical Review Letters119(7),072001. “Determination of the Spin and Parity of the Zc (3900)”. Ablikim, M., Achasov, M.N., Ahmed, S., (…), Zou, B.S., Zou, J.H. Physical Review D96(5),051101. “Evidence for e+e−→γηc(1S) at center-of-mass energies between 4.01 and 4.60 GeV”. Ablikim, M., Achasov, M.N., Ahmed, S., (…), Zou, B.S., Zou, J.H. Physical Review D 96(5),052003. “Measurement of branching fractions for ψ (3686) →γη′, γη, and γπ0”. Kuluöztürk, Z.N., Demir, N., Akkurt, I. Acta Physica Polonica A132(3), pp. 796-800. “Monte Carlo simulation studies of collimator parameters for TARLA bremsstrahlung facility”. Kuluöztürk, Z.N., Demir, N., Akkurt, I. Acta Physica Polonica A132(3), pp. 1168-1170. “Calculations of temperature rise in Al, Cu and Fe photon collimators for 8-32 MeV photon beams”. Ablikim, M., Achasov, M.N., Ahmed, S., (…), Zou, B.S., Zou, J.H. Physics Letters, Section B: Nuclear, Elementary Particle and High-Energy Physics772, pp. 388-393. “Observation of the decay Λc+→Σ−π+π+π0”. Karatok, M., Vovk, E.I., Koc, A.V., Ozensoy, E. Journal of Physical Chemistry C 121(41), pp. 22985-22994. “Selective Catalytic Ammonia Oxidation to Nitrogen by Atomic Oxygen Species on Ag(111)”. Ablikim, M., Achasov, M.N., Ahmed, S., (…), Zou, J.H. Chinese Physics C 41(11),113001. “Measurement of integrated luminosity and center-of-mass energy of data taken by BESIII at √ s=2.125 GeV”. Ablikim, M., Achasov, M.N., Ai, X.C., (…), Zou, B.S., Zou, J.H. Physics Letters, Section B: Nuclear, Elementary Particle and High-Energy Physics 774, pp. 252-257. “Dark photon search in the mass range between 1.5 and 3.4 GeV/c2”. Ablikim, M., Achasov, M.N., Ahmed, S., (…), Zou, B.S., Zou, J.H. Physics Letters, Section B: Nuclear, Elementary Particle and High-Energy Physics774, pp. 78-86. “Measurement of cross sections of the interactions e+e−→ ϕϕω and e+e−→ ϕϕϕ at center-of-mass energies from 4.008 to 4.600 GeV”. Ablikim, M., Achasov, M.N., Ahmed, S., (…), Zou, B.S., Zou, J.H. Physical Review D 96(9),092002. “Search for the rare decay D+ →d0e+νe”. Ablikim, M., Achasov, M.N., Ahmed, S., (…), Zou, B.S., Zou, J.H. Physical Review D 96(9),092007. “Improved measurements of two-photon widths of the χcJ states and helicity analysis for χc2 →γγ”. Nozari, V., Keskin, S., Uzun, A. 2, pp. 6613-6618. “Towards Rational Design of Ionic Liquid/Metal Organic Framework Composites: Effects of Inter-Ionic Interaction Energy”. Babucci, M., Fang, C-.Y., Hoffman, A.S., Bare, R.S., Gates, B.C., Uzun, A. ACS Catalysis 7, pp. 6969-6972. “Tuning the Selectivity of Single-Site Supported Metal Catalysts with Ionic Liquids”. Ablikim, M., Achasov, M.N., Ai, X.C., (…), Zou, B.S., Zou, J.H. Physics Letters, Section B: Nuclear, Elementary Particle and High-Energy Physics 761, pp. 98-103. “Measurement of the leptonic decay width of J/ψ using initial state radiation”. Ablikim, M., Achasov, M.N., Ai, X.C., (…), Zou, B.S., Zou, J.H. European Physical Journal C 76(7),369. “Improved measurement of the absolute branching fraction of D+→ K0µ+νµ”. Ablikim, M., Achasov, M.N., Ai, X.C., (…), Zou, B.S., Zou, J.H. Physics Letters, Section B: Nuclear, Elementary Particle and High-Energy Physics 753, pp. 103-109. “Measurement of the branching fraction for ψ(3770) → γ χc0”. Ablikim, M., Achasov, M.N., Ai, X.C., (…), Zou, B.S., Zou, J.H. Physics Letters, Section B: Nuclear, Elementary Particle and High-Energy Physics 753, pp. 629-638. “Measurement of the e+e-→π+π-cross section between 600 and 900 MeV using initial state radiation”. Study of J /ψ →p p φ at BESIII”. Yildiz, H., Aksoy, A., Arikan, P. AIP Conference Proceedings 1722,070011. “Non-linear effects in bunch compressor of TARLA”. Ablikim, M., Achasov, M.N., Ai, X.C., (…), Zou, B.S., Zou, J.H. Chinese Physics C 40(6),063001. “Measurements of the center-of-mass energies at BESIII via the di-muon process”. Ablikim, M., Achasov, M.N., Ai, X.C., (…), Zou, B.S., Zou, J.H. Physical Review Letters116(25),251802. “Observation of hc Radiative Decay hc →γη′ and Evidence for hc →γη”. Study of D+ →k-π+e+νe Physical Review D 94(3),032001. “Study of D+ →k-π+e+νe”. Ablikim, M., Achasov, M.N., Ai, X.C., (…), Zou, B.S., Zou, J.H. Chinese Physics C 40(11),113001. “Measurement of the absolute branching fraction of D+→ K0e+νevia K0→ π0π0”. Ablikim, M., Achasov, M.N., Ahmed, S., (…), Zou, B.S., Zou, J.H. Physical Review Letters 117(23),232002. “Measurement of Singly Cabibbo Suppressed Decays Λc+ →pπ+π- and Λc+ →pK+K-“. Nergiz, Z., Nuclear Instruments and Methods in Physics Research, Section A: Accelerators, Spectrometers, Detectors and Associated Equipment 795,57797, pp. 140-143. “Radiation properties of Turkish light source facility TURKAY “. Caliskan, A.; Kisoglu, H. F.; Yilmaz, M. Nuclear Science and Techniques 26(3) article number: 030103. “Beam dynamics design and electromagnetic analysis of 3 MeV RFQ for TAC Proton Linac”. Ablikim, M., Achasov, M.N., Ai, X.C., (…), Zou, B.S., Zou, J.H. Physical Review Letters 115(9),091803, pp. 091803-1-091803-7. “Observation and spin-parity determination of the X(1835) in J/ψ → γK0SK0Sη”. Ablikim, M., Achasov, M.N., Ai, X.C., (…), Zou, B.S., Zou, J.H. Physical Review Letters 115(11),112003, pp. 112003-1-112003-7. “Observation of Zc(39000)0in e+e−→ π0π0J/ψ”. Ablikim, M., Achasov, M.N., Ai, X.C., (…), Zou, B.S., Zou, J.H. Physical Review D – Particles, Fields, Gravitation and Cosmology 92(1),012008, pp. 012008-1-012008-8. “Search for the isospin violating decay Y(4260) → J/ψηπ0”. Ablikim, M., Achasov, M.N., Ai, X.C., (…), Szczepaniak, A.P., Guo, P. Physical Review D 92(5),052003. “Amplitude analysis of the π0π0system produced in radiative J=ψ decays”. Ablikim, M., Achasov, M.N., Ai, X.C., (…), Zou, B.S., Zou, J.H. Physics Letters, Section B: Nuclear, Elementary Particle and High-Energy Physics 744, pp. 339-346. “Measurement of yCP in D0-D0 oscillation using quantum correlations in e+e- → D0D0 at √s = 3.773 GeV”. Ablikim, M., Achasov, M.N., Ai, X.C., (…), Zou, B.S., Zou, J.H. Physics Letters, Section B: Nuclear, Elementary Particle and High-Energy Physics 749, pp. 414-420. “An improved limit for Γeeof X(3872) and Γeemeasurement of ψ(3686)”. Ablikim, M., Achasov, M.N., Ai, X.C., (…), Zou, B.S., Zou, J.H. Physics Letters, Section B: Nuclear, Elementary Particle and High-Energy Physics 750, pp. 466-474. “Measurement of the branching fractions of Ds+→η’X and Ds+→η’ρ+ in e+e-→Ds+Ds-“. Nozari, V., Keskin, S., Uzun, A. ACS Omega 2, pp. 6613-6618. “Toward Rational Design of Ionic Liquid/Metal−Organic Framework Composites: Effects of Interionic Interaction Energy”. Ari, V., Çakr, O., Kuday, S., International Journal of Modern Physics A 29(11-12),1450055. “Pair production of new heavy leptons with U(1)′ charge at linear colliders”. Ablikim, M., Achasov, M.N., Ai, X.C., (…), Zou, B.S., Zou, J.H. Physics Letters, Section B: Nuclear, Elementary Particle and High-Energy Physics 734, pp. 227-233. “Measurement of the D →k−π+strong phase difference in ψ(3770) →D0D̅0”. Ablikim, M., Achasov, M.N., Ai, X.C., (…), Zou, B.S., Zou, J.H. Physics Letters, Section B: Nuclear, Elementary Particle and High-Energy Physics 735, pp. 101-107. “Study of e+e-→pp- in the vicinity of ψ(3770)”. Tapan, I., Pilicer, F.B. Nuclear Instruments and Methods in Physics Research, Section A: Accelerators, Spectrometers, Detectors and Associated Equipment 765, pp. 240-243. “Silicon tracker simulation for the Turkish Accelerator Center particle factory”. Aydin, A., Sarpun, I.H., Kaplan, A., Tel, E. Journal of Fusion Energy 32(3), pp. 378-381. “Calculations of double differential deuteron emission cross sections at 62 MeV proton induced reactions”. Ablikim, M., Achasov, M.N., Albayrak, O., (…), Zou, B.S., Zou, J.H. Physical Review Letters 111(24),242001. “Observation of a Charged Charmoniumlike Structure Zc(4020) and Search for the Zc(3900) in e+e-→ π+π-hc”. Demir, N., Demirci, Z.N., Akkurt, I. Radiation Effects and Defects in Solids 168(5), pp. 372-377. “Monte Carlo simulations of bremsstrahlung photon yields from thin targets with electron beams between 10 and 40 MeV”. Ozansoy, A., Billur, A. A. Physical Review D. 86(5), pp. 055008. “Search for excited electrons through gamma gamma scattering”. Cakir, O., Kuday, S., Cakir, I.T., Sultansoy, S. 43(1), pp. 63-70. “Resonant Production of the Fourth Family Slepton at the LHC”. Caliskan, A.; Yilmaz, M. Chinese Physics C 36(2) 167-172. “DTL cavity design and beam dynamics for a TAC linear proton accelerator”. Çiftçi, A.K., Çiftçi, R., Yldz, H., Zengin, K. Nuclear Instruments and Methods in Physics Research, Section A: Accelerators, Spectrometers, Detectors and Associated Equipment 675, pp. 34-39. “Beam dynamics issues and synchrotron radiation on TAC-SR”. Ketenolu, B., Yavas, Ö. Optik 123(11), pp. 1006-1009. “Optimization considerations for a SASE free electron laser based on a superconducting undulator”. Karsli, Ö., Yavaş, Ö. Nuclear Instruments and Methods in Physics Research, Section A: Accelerators, Spectrometers, Detectors and Associated Equipmen t693, pp. 215-219. “A design study on high power RF system for the TARLA facility of TAC”. Kaplan, A., Büyükuslu, H., Tel, E., Aydin, A., Bölükdemir, M.H. Indian Journal of Physics 85(11), pp. 1615-1629. “Investigation of the neutron emission spectra of some deformed nuclei for (n,xn) reactions up to 26 MeV energy”. Ari, V., Çakir, O. Modern Physics Letters A 26(24), pp. 1783-1796. “Pair production of tau sneutrinos at linear colliders”. Kocak, F., Tapan, I., Pilicer, E. Nuclear Instruments and Methods in Physics Research, Section A: Accelerators, Spectrometers, Detectors and Associated Equipment 648(SUPPL. 1), pp. S128-S130. “Signal fluctuations in crystal APD systems” . Aydin, A., Journal of Fusion Energy29(5), pp. 476-480. “Pre-equilibrium3He-emission spectra at 62 MeV proton incident energy”. Tel, E., Kaplan, A., Aydin, A., Özkorucuklu, S., Büyükuslu, H., Yildirim, G. Journal of Fusion Energy 29(4), pp. 312-316. “The equilibrium and pre-equilibrium triton emission spectra of some target nuclei for (n,xt) reactions up to 45 MeV energy”. Aydin, A., Türeci, G., Tel, E., Kaplan, A. Journal of Fusion Energy 29(4), pp. 312-316. “The equilibrium and pre-equilibrium triton emission spectra of some target nuclei for (n,xt) reactions up to 45 MeV energy”. Aydin, A., Türeci, G., Tel, E., Kaplan, A. Journal of Fusion Energy 29(4), pp. 327-331. “Investigation of deuteron emission spectra at 62 MeV proton incident energy”. Tel, E., Aydin, A., Aydin, E.G., Kaplan, A., Yavaş, O., Reyhancan, I.A. Pramana – Journal of Physics74(6), pp. 931-943. “Newly developed semi-empirical formulas for (p, α) at 17.9 MeV and (p, np) at 22.3 MeV reaction cross-sections”. Kaplan, A., Büyükuslu, H., Aydin, A., Tel, E., Yildirim, G., Bölükdemir, M.H.. PJournal of Fusion Energy 29(2), pp. 181-187. “Excitation functions of some neutron production targets on (d,2n) reactions”. Yalım, H.A., Aydin, A., Sarpün, I.H., Ünal, R., Oruncak,B., Kaplan, A., Tel, E. Journal of Fusion Energy 29(1), pp. 55-61. “Investigation of nucleon mean free path dependence in tritium emission spectra produced by proton induced reactions at 62 MeV”. Büyükuslu, H., Kaplan, A., Tel, E., Aydin, A., Yıldırım, G. Journal of Fusion Energy 29(1), pp. 41-48. “Neutron emission spectra of104,105,106,108,110Pd isotopes for (p,xn) reactions at 21.6 MeV proton incident energy”. Çakir, O., Çetinkaya, V. Modern Physics Letters A 25(30), pp. 2571-2577. “Single production of fourth family b’ quarks at the large hadron electron collider”. Kaplan, A., Tel, E., Aydin, A., Okuducu, Š. International Journal of Modern Physics E 18(9), pp. 1871-1885. “A systematic study of equilibrium and pre-equilibrium (p, n) reaction mechaisms cross-sections at intermediate energies for 25 < A < 240 Target nuclei”. Aydin, A., Yalim, H.A., Tel, E., Şarer, B., Ünal, R., Sarpün, I.H., Kaplan, A., Daǧ, M. Annals of Nuclear Energy 36(9), pp. 1307-1312. “Level density parameter dependence of the fission cross sections of some subactinide nuclei induced by protons with the incident energy up to 250 MeV”. Kaplan, A., Tel, E., Aydin, A. Physics of Atomic Nuclei 72(6), pp. 903-910. “The equilibrium and preequilibrium neutron-emission spectra of some structural fusion materials for (n, xn) reactions up to 16 MeV energy”. Kaplan, A., Tel, E., Aydin, E.G., Aydin, A., Yilmaz, M. Applied Radiation and Isotopes 67(4), pp. 570-576. “Spallation neutron emission spectra in medium and heavy target nuclei by a proton beam up to 140 MeV energy”. Aydin, E.G., Tel, E., Kaplan, A., Aydin, A. Annals of Nuclear Energy 35(12), pp. 2306-2312. “Equilibrium and pre-equilibrium calculations of neutron production in medium-heavy targets irradiated by protons up to 100 MeV”. Aydın, A. Tel, A., Şarer, B., Kaplan, A. Journal of Fusion Energy 27(4), pp. 314-320. “A new comparison of empirical and semi-empirical formulae for the (n,3He) reaction cross-sections at 14-15 MeV”. Aydin, A., Tel, E., Kaplan, A. Journal of Fusion Energy 27(4), pp. 308-313. “Calculation of 14-15 MeV (n, d) reaction cross sections using newly evaluated empirical and semi-empirical systematics”. Tel, E., Aydin, A., Kaplan, A., Şarer, B. Journal of Fusion Energy 27(3), pp. 188-194. “Investigation of 14-15 MeV (n, t) reaction cross-sections by using new evaluated empirical and semi-empirical systematic formulas”. Tel, E., Şahin, H.M., Kaplan, A., Aydin, A., Altinok, T. Annals of Nuclear Energy 35(2), pp. 220-227. “Investigation of the properties of the nuclei used on the new generation reactor technology systems”. Çiftçi, A.K., Çiftçi, R., Sultansoy, S. Physics Letters, Section B: Nuclear, Elementary Particle and High-Energy Physics 660(5), pp. 534-538. “Anomalous single production of the fourth generation neutrino at future ep colliders”. Aksoy, A., Karsli, O., Yavaş, O. Infrared Physics and Technology 51(5), pp. 378-381. “The Turkish accelerator complex IR FEL project”. Çiftçi, A.K., Çiftçi, R., Duran Yildiz, H., Sultansoy, S. Modern Physics Letters A 23(14), pp. 1047-1054. ” Anomalous single production of the fourth generation charged leptons at future ep colliders”. Sultansoy, S., Unel, G. Physics Letters, Section B: Nuclear, Elementary Particle and High-Energy Physics669(1), pp. 39-45. “The E6 inspired isosinglet quark and the Higgs boson”. Aydin, A., Şarer, B., Tel, E., Applied Radiation and Isotopes 65(3), pp. 365-370. “New calculation of excitation functions of proton-induced reactions in some medical isotopes of Cu, Zn and Ga”. Çalışkan, A., Yılmaz, M. DU Journal of Science 2 (2007) 83-91. “TAC Proton Hızlandırıcısının LINAC Alternatifi İçin DTL Simülasyonu”. Aksakal, H., Arıkan, E., Nergiz, Z. Turkish Journal of Physics 37 (2013) 322-329. “Vacuum properties of TARLA”. Tugay, H., Özkorucuklu, S. SDU Journal of Science 9 (2014) pp. 109-116. “TARLA IR-SEL Salındırıcı Magnetler İçin Benzetim Çalışmaları”. Şekerci, M., Özkorucuklu,S. SDU Journal of Science 19 (2015) 7-14. “Türk Hızlandırıcı Merkezi (THM) T.A.R.L.A. tesisi serbest elektron lazeri demet parametreleri hesapları ve enjektör benzetim çalışmaları”. Aksoy, A. Turkish Journal of Physics 41 (2017) 171-181. “Design of Turkish Accelerator and Radiation Laboratory in Ankara (TARLA) facility injector magnets”. Aydin, A., Kasap, E. Turkish Journal of Physics 41(2017) 269-276. ” Design studies for the beam position monitor (BPM) front-end electronics of the Turkish accelerator and radiation laboratory in Ankara (TARLA)”. Yavas, O., Yigit, S. 6th International Conference of the Balkan-Physical-Union Aug 22-26, 2006. “A parameter optimization for a national SASE FEL facility”. Yavaş, O. Balkan Physics Letter, 16 (2009) 264-253. 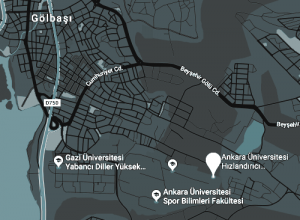 “Turkish Accelerator Center (TAC) Project”. Ketenoğlu, B., Yavaş. Ö. Balkan Physics Letter, 16 (2009) 247-250. “”Energy Recovery Linac As An Alternative Option For TAC and QCD-E Projects”. Yavaş, Ö. Balkan Physics Letter, 16 (2009) 255-259. “Main Characteristics of TAC IR FEL”. Ketenoğlu, B., Yavaş, Ö. Balkan Physics Letters, 16 (2009) 161008. “Plans for SASE FEL facility in frame of the TAC project”. Ketenoğlu, B., Yavaş, Ö.Balkan Physics Letters, 17 (2009) 311-314. “Energy recovery linac as an alternative option for TAC and QCD-E projects”. Ketenoğlu, B., Yavaş, Ö. Balkan Physics Letters, 18 (2010) 142-148. “An asynchronously operating ERL-Ring type collider proposal for the TAC particle factory and SASE FEL facility”. Karslı, Ö., Aksoy, A., Yavaş, Ö. Balkan Physics Letters, 19 (2011) 262-268. “RF Power Source System fot TAC IR-FEL Facility”. Soygül, T., Aksoy, A., Özkorucuklu, S. alkan Phsyisc Letters 19 (2011) 191031, 269-275. “Control System Architecture of the TAC IR FEL Facility”. Nergiz, Z., Aksoy, Av., Ozkorucuklu, S., Aksakal, H., Kaya, C., Ceylan, S. Balkan Phsyisc Letters, 19 (2011) 191029 258-261. “Electron beam Diagnostic Layout for the Injector of Turkish Accelerator Center IR-FEL Facility”. Yüksel, A.N., Yavaş, Ö. Balkan Phsyisc Letters, 19 (2011) 428-437. “Beam Transport Line (BTL) Design Studies for 15-30 MeV Proton Beam for R&D Studies”. Çiftçi, A.K., Çiftçi, R., Yıldız, H., Zengin, K. Balkan Physics Letters 20 (2012) 201022, 194-201. “Design, Dynamic Aperture and Undulator Issues in the Synchrotron Ring of Turkish Accelerator Center”. Ketenoğlu, B., Yavaş, Ö., Balkan Physics Letters 21 (2013) 211023, 215-226. 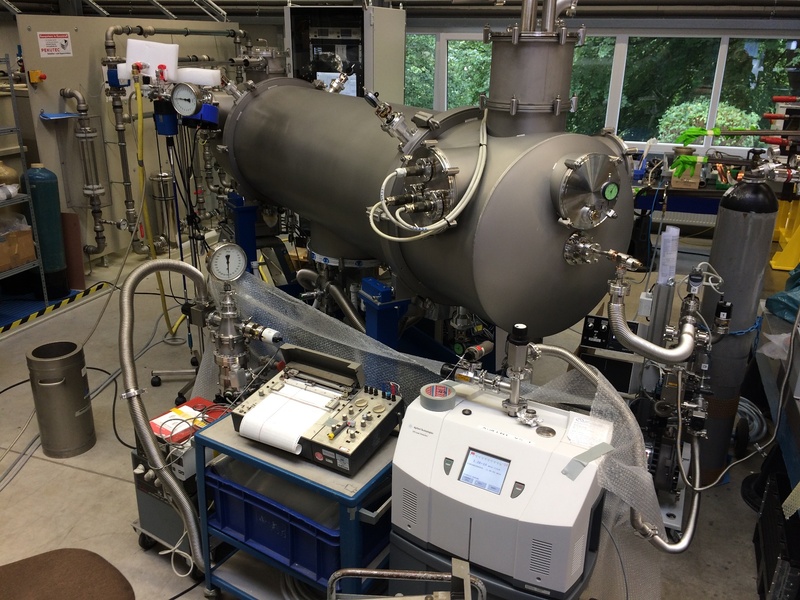 “An X-Ray SASE FEL Optimization Based On Various In-Vacuum Undulator Configurations”. Elçim, Y., Dirican, B., Yavaş, Ö. Balkan Physics Letters 23 (2015) 2310004, 30-36. “Dosimetric Evaluation of Radiotherapy Planning Systems with Two Different Algorithms in Small Fields”. Akdoğan, E., Nergiz, Z., Yavaş, Ö. Balkan Physics Letters 23 (2015) 231003, 23-29. “Booster Ring Design for TAC Synchrotron Radiation Facility (TURKAY)”. Gündoğan, M.T., Aydın, A., Kaya, Ç., Koç, B., Yavaş, Ö. Balkan Physics Letters, 24 (2016) 241018, 151-158 (2016). “Design of Stripline Beam Position Monitor for TARLA Facility”. Kaya, Ç., Aksoy, A., Aydin, A., Karakılıç, V., Karslı, O., Kazancı, E.,Koç, B., Tural, M., Yavaş, Ö. Balkan Physics Letters, 24 (2016) 241015, 131-138. “Electron Beam Diagnostics of Injector Line in TARLA Facility”. Demirci, E. P., Aksoy, A., Kaya, Ç., Kazancı, E., Korkmaz, G., Coşgun, E., Yavaş, Ö. Balkan Physics Letters, 24 (2016) 241017, 146-150. “The Status of Cryoplant of TARLA Facility”. Coşgun, E., Aksoy, A., Demirci, E.P., Kaya, Ç., Kazancı, E., Koç, B., Korkmaz, G., Yavaş, Ö. Balkan Physics Letters, 24 (2016) 241016, 139-145. “Vacuum Studies on Electron Gun and Injector Line of TARLA Facility”. Akdoğan, E., Nergiz,Z., Yavaş, Ö. Balkan Physics Letters, 24 (2016) 241021, 174-181. “Optimization and Upgrade Parameters of Booster Ring For TAC Synchrotron Radiation Facility”. Yavaş, Ö. Balkan Physics Letters, 24 (2016) 241023, 191-202. “Turkish Accelerator Center Project: The Results of 3rd Stage and Vision of the Project”.